Note: This article is a translation with a few add-ons of what I wrote in Spanish for my personal blog. 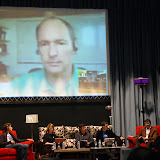 You can see the original post in Spanish: "Data driven journalism en España de la mano de Por Bono Publico". One of the most interesting things that happened to me in London during the condensed course of government transparency I attended in November, was the relationships I could strengthen. And not only with Open Data celebrities. One of these relations was with the people from Pro Bono Publico, the civil society association you may know for organizing the challenge Abre Datos. 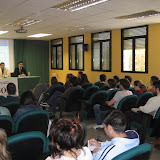 This contest was first held in Spain to promote the reuse of public sector information. Since I met Jacobo Elosúa, David Cabo and Álvaro Ortiz at the Open Government Data Camp 2010 and we shared a good time discussing about the state of open data in Spain, I have followed a bit more closely their activities. For example, last week Pro Bono Publico released an excellent contribution to the spanish public consultation on the draft Royal Decree on the reuse of public sector information. Along with them, Fundación CTIC has also published comments and the Spanish Ministry of Industry has released an over 100 pages document with all 26 contributions received. Of course, one of those contributions is the one that Euroalert has published on its official blog. 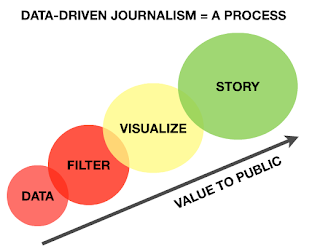 Another initiative in which Pro Bono people are working on, and that I really think as very valuable, is the organization of a workshop on data driven journalism, aimed primarily at journalists and other information professionals. The conference is tentatively scheduled for February 15th 2011 and for the moment we are in the process of testing the real interest and gathering some feedback. I say we, because as a few weeks ago I spoke at the University of Valladolid to students of journalism about the challenges of open data, I'm trying to contribute what I learned from this experience. Of course, we ask for your comments and for your help to spread the event. As we get more details we will release them. "The responsibility [to analyze datasets] needs to be with the press"
... especially for Alvaro when Sir Tim took a sit beside him.